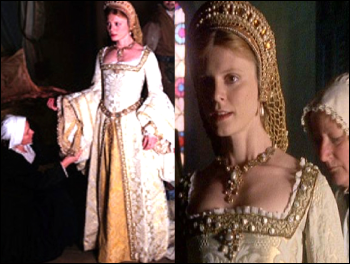 This gown was made for the production Crossed Swords, and was worn by the lovely Lalla Ward playing the Princess Elizabeth. 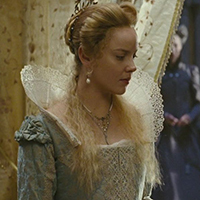 The gown is next seen nearly ten years later in the film Lady Jane. 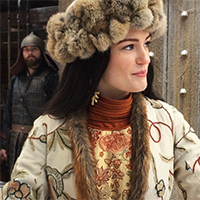 It is never worn, but is carried down the stairs in the arms of a servant. 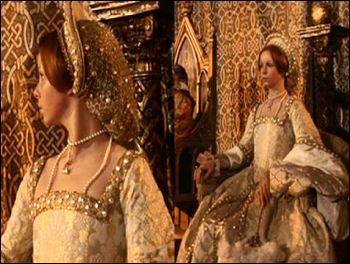 The gown was still around and in very good condition by 2001, when it was used again for a documentary on The Six Wives of Henry VIII, though the original petticoat seems to have been replaced. 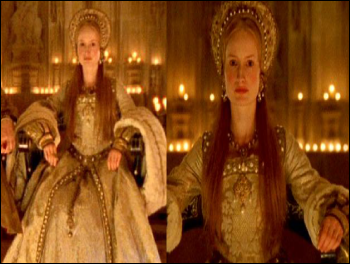 It was used a fourth time two years later for the production Henry VIII.